Congratulations to Meaghan for winning this giveaway! We have an awesome giveaway and a 50% off discount today sponsored by Naturebox! We’ve been Naturebox fans for more than a year now and to celebrate these healthy snack habits we are giving away a free YEAR of Naturebox subscriptions to one lucky reader! They send the perfect mix of savory and sweet options. All can be eaten straight out of the bag or added to meals. Granola and yogurt, sea-weed rice pops on top of a salad, really there’s no limit to what these bags can provide! We used them most recently in addition with healthy smoothies during a family-friendly cleanse earlier this month and they were a life-saver. A new feature they’ve added is their Snack Catalog, where you can go and actually select the snacks you want delivered for those who have more specific dietary preference, or simply know what your kids like to snack on (Fuji apple slices). Head to Naturebox and pick your favorite snack and tell us in the comments. For extra entries you can also follow Naturebox on Facebook, Twitter and Pinterest. If you’re feeling really motivated you can follow us as well! A winner will be announced January 29th and must have a shipping address in the United States. Good luck!! I choose the Acai Berry Crunch! I’d love the chipotle chickpeas! The baked sweet potato fries look delicious! I would love to try the acai berry crunch! or even the salted caramel pretzel pops! Peanut Butter NomNoms. Seriously? This sounds amazing. So many delicious options! Peppery chickpeas would definitely be a great choice! Banana Bread Granola sounds heavenly! I would love the autumn box!!! The sweet potato chips look amazing!! I have never tried Nature box. Funds are tighter than usual right now, so I can’t afford to use the coupon. I work love to win these amazing healthy snacks! The sunshine chips look so yum!! We have been wanting to try nature box for some time now! Baked sweet potato fries, thank you! Ooh the blueberry nom noms!!! Any of the snack mixes or trail mixes. Great in the morning or on the go! I like nature box on Facebook! Love to try the chipotle chickpeas. granny smith apples and acai berry crunch! yum!! Mmmm, that acai berry crunch!!! Acai Berry Crunch looks yummy! Love this concept! The sweet potato fries look divine! I’ve always wanted to try out naturebox! My family would love the cinnamon almonds and yogurt pretzels (and many of the other snacks) for sure! Thanks for the great giveaway! I follow smallfry on Instagram. Peanut butter nom noms look yummy! French toast granola looks awesome! Flax Seed Fortune Cookies! Um yes please! whole wheat apple pie figgy bars! I follow you on pinterest, instagram and facebook! And also Nature Box on pinterest and facebook. YUM! This would be so awesome! All those Nature Box goodies sound amazing but I think I would be partial to the sunshine chips- I have a weakness for mixed veggie chips….with hummus… Mmm! I’m so curious to try the lemon pistachios! French toast granola, my oh my! my pregnant belly approves. we just signed up for nature box! we haven’t gotten our first box yet but boy are we excited. i’m really looking forward to trying the french toast granola, yum! Salted Caramel Pretzel Pop! Yes please! That French toast granola sure looks yummy! 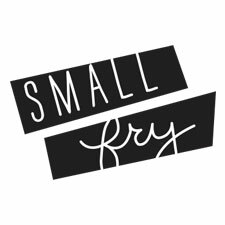 Annnd of COURSE I follow Small Fry on fb, twitter, insta, and Pinterest. You ladies are awesome! Oat Bran Dippin’ Stix! Though those Seaweed Pops look pretty amaze, too! Actually, most of them do! I like NatureBox on FB. The peppery chickpeas looks like they would be yummy! Dried California Peaches. Mmmm it all looks so yum. Everything looks delicious! My top choice is the vanilla macaroon granola. Sweet tooth satisfied! I’d really love to win this. We struggle with food allergies, which makes feeding difficult sometimes (a lot of times!). I’d love more snack options! Pistachio power clusters or dark cacao almonds. My family would love this – fingers crossed! I would love to try the baked peppery potato fries and the honey mesquite almonds! Anything sweet potato and I am in! I would love to try the French Toast Granola. Yum! the raspberry figgy bars, dried peaches, macaroon granola… it all sounds so good! Oh man, the whole wheat blueberry figgy bars and pistachio power clusters look awesome. I love how many vegan options they have! The sunshine chips are calling my name. I love their pretty colors! I follow Naturebox on FB. The dark cacao almonds looks fabulous!! Love the almonds! We follow SF on Pinterest, and Instagram! Followed them on Pinterest! FIGGY BARS!!! ANY FLAVOR. Seriously hope I win this one!!! I love no bake cookies and those peanut butter nom noms have my name written all over them. My favorite treat might be the Blueberry Nom Noms. Those look amazing! So many good snacks! I think my 2 year old would love the sunshine chips! The peanut butter nom noms or chickpeas. I can’t decide! YUM! The Pistachio Power Clusters look really good. hello and goodbye, salted carmel pretzel bites!!! The dark cocoa almonds look yummy! So many mouthwatering yumminess to choose from! I love all of the different granola combinations and those dark cocoa almonds look heavenly! Honey mesquite almonds for sure! Sunshine chips! I also liked in Facebook and followed on Pinterest. Ad now I want all of their snacks! So fun! oh my goodnight nurse Sour Cream and Onion Almonds?! are you kidding me! how absolutely scrumdiddliumpcious does that sound?! or the carmel pretzel pops! oh wow this would make my life! I think the sourdough cheddar pretzels look amazing! Follow both you and Nature Box on Facebook. Follow both Nature Box and Small Fry Pinterest. The peanut butter nomnoms sound right up our alley!But truly, any of NatureBox’s delicious items would be great!! I follow both of you on Facebook & Instagram & Pinterest, too. Thanks! The sun dried California peaches sound delicious right now! Whole wheat raspberry figgy bars! The salted caramel pretzel bites look yummy! I would love the apple slices and their cocoa almonds! oh my goodness everything looks so good! id love to try those cocoa almonds, fuji apples, or peppery pistachios! yum! thanks for the code i will for sure be using!! i also followed on pinterest/twitter/fbook! love you guys and love the blog! Ohhhh the French Toast Granola, Salted Caramel Pretzel Pops and the Tuscan Summer Mix all sound to die for! I follow naturebox on facebook. I follow naturebox on Pinterest. Dark Chocolate Berry Trail Mix – yummmmm-ieee!!! I like the looks of the peanut butter nom noms! Oh man, I’ll take peanut utter ANYTHING!! It all looks so good but my weakness is definitely the granolas. The dark cocoa almonds look great but it all looks delicious. Pistachio power cluster and tge tomato almonds! I follow Nature Box on Facebook! I follow Nature Box on Twitter! The Lemon Pucker Pistachios look awesome!! Thanks so much for the chance. Acai berry crunch takes the top place for me! The Salted Caramel Pretzel Pops look awfully good! Peanut butter nomnoms sound amazing! I would love to try the seaweed rice pops. Not only do they look delicious, they’re gluten free and my daughter could eat them! Followed on Facebook! They all look so good! But, I would love to try the Cranberry Almond Bites! I’ll be honest, the yogurt dipped pretzels would probably be my favorite. 🙂 The dried pears look pretty good too. All of the granolas sound amazing but I would keep the dark cocoa almonds for myself… 🙂 Thanks for the giveaway! Fuji Apple slices for my 18 month old and Yogurt covered pretzels to fulfill my pregnancy cravings!! Hard to pick a favorite! I think I’m going to have to go with salted caramel pretzel pops!! The french toast granola sounds really good! Siriacha cashews for the win – yum!!! I’ve heard the peanut butter nom noms are amazing. .. would love to try them! I’d love to try the dark cocoa almonds; almonds and cocoa are one of my favorite food combos! I’m a college student who has struggled with body dysmorphia and eating disorders for several years, and I’ve just made some strides in the right direction for my body. I feel like this could be such a blessing for me to receive healthy snack options! I follow SF and NB on Instagram, Facebook, and Twitter. Thanks, and God bless! How’s about that Tuscan Summer Mix?!? Sourdough Cheddar Pretzels for days. I’d love to try the peppery chickpeas. I had toasted chickpeas on a JetBlue flight once and have been trying to find them ever since, but haven’t found them anywhere else! The banana bread granola sounds amazing! I follow Small Fry on Instagram. Dark cocoa almonds sound really good right now! I think the blueberry almonds sound delish. Oh my goodness, I am so excited to try out Nature Box. I am going to try them out for the first time. I would love to win! Oh my gosh it all looks delicious. Pumpkin seeds I think win my vote though. Oh my…so many delicious sounding choices. The salted caramel pretzel pops look right up my alley. I’ve been wanting to try NatureBox for so long! Umm…YUM!! I want ev-er-y-thing, but those praline pumpkin seeds really called out to me! I’d love to subscribe to something like this for my littles–we need more variety…getting just a liiiiittle burnt out on the Aunt Annie’s bunny crackers!! The blueberry nom noms and the French toast granola sound amazing! My kids love the plantain chips and Fuji apples. I love the dark cocoa almonds and the lemon pucker pistachios. I like naturebox on Facebook. Ok my mouth is officially watering. It is so hard to pick just one snack! I’ll have to go with the salted caramel pretzel pops. Dang those things look absolutely divine. The cashew power clusters look amazing! Sea Salt & Cracked Pepper Pumpkin Seeds! French toast granola?!! Sounds amazing!! Everything sounds so GOOD! The French toast granola, sour cream and onion almonds..etc. etc. etc. Those salted Carmel pretzel pops look amazing! (And the dried apple slices). Yum. What a fun idea. The masa chips and the lemon tea biscuits both look AWESOME! i need nature box in my life…. my boys would love it all, but the apple orchard granola is calling our names. French Toast Granola sounds tasty! The baked sweet potatoe fries look heavenly!! And the peanut butter nom noms… Goodness! I’m following naturebox on twitter, Facebook, and Pinterest! And I’m following you of course on twitter, Facebook, Instagram, and Pinterest!! Emmm the toasted sesame seeds remind me of the Trader Joes ones-would love to try those! Awesome giveaway! Love that they have nut free opTions for my guy with allergies! The figgy bars look great! So do th Fuji chips. Oh and the guac chips! Yummmmm! The dark chocolate cocoa almonds sound yummy! I don’t know why but those raspberry figgy bars look amazing to me! Love to try this company out! It’s all about the peanut butter nom noms! Dark cocoa almonds and banana bread granola oh my!!! Ok, guys. I need this. We don’t eat healthy, like at all. In fact, I don’t know what 99% of those snacks listed on the nature box website are. Chickpeas? Chia seed? Flax? What the?! The french toast granola & dark cocoa almonds do look pretty bomb diggity! Nom, nom! Please, help get us a little healthier & further from our pending days of diabetes. Sour Dough Pretzel bites!! Yummers. Also curious about the Pistachio Power Balls. Thanks for an awesome giveaway! Oh my goodness the peanut butter nom noms looks so good!! And I follow you guys on everything! I am salivating thinking about the honey crunch crisps. This box looks incredible! Blueberry nom noms look great! we love the masa crisps! Peanut butter nom moms, teriyaki twists, or the blueberry almonds. Sounds delicious! Following naturebox on facebook too! And of course I follow small fry! I would love some toasted sesame sticks! They look mighty tasty to this pregnant lady over here! My kiddos cannot get enough of the Santa Fe Corn Sticks!!!! later and find out just what else you have available! 😉 I am likely to discover if my wife and I can obtain almost anything involving cookies recipe! !